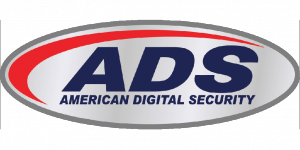 American Digital Security (ADS), a Missouri company, is a Minority (MBE) owned company. ADS’s long list of big business clients agrees this company is a major player in the security industry. In business since 2002, ADS has grown from revenues of $750,000 in its first year of operation to over $12.8 million a year in 2017. ADS offers a state contract through (TIPS) The Interlocal Purchasing System for Kansas, Missouri, Iowa, Oklahoma and Texas. We specialize in the design, system installation, and service of megapixel IP video surveillance, card access control, visitor management, emergency active shooter notification, door intercom systems and intrusion detection systems, as well as threat assessment. Every ADS security system begins with a free on-site consultation by experienced security specialists. Installation is completed by certified technicians and tailored to meet each client’s specific needs. Once installed, assistance is provided twenty-four hours a day, seven days a week, by a highly trained technical team ready to answer any questions and place clients firmly at ease. ADS offers free phone tech support for the life of your system. We have an IT department ready to assist you M-F 8-5. With the resources and experience to equip and service any size business or agency, ADS counts among its clientele over 2,000 Schools and businesses in Kansas and Missouri such as the Kansas City Chiefs Arrowhead Stadium, Associated Wholesale Grocers, North Kansas City Schools, Liberty Schools, North Kansas City Hospital, Lee’s Summit Schools, KCMO Schools, KCK Schools, Blue Valley Schools, Olathe Schools and Haskell University just to name a few. From a simple set-up for the smaller K-12 school to elaborate systems like that at the Golden Eagle Casino, regardless of system size, clients of ADS are realizing a return on their investment through fewer losses, denial of fraudulent claims, increased employee productivity, and safer environments. Because ADS places great importance on safety and security in educational institutions, it provides affordable systems through its school initiative program. Your student’s safety and the care that we have for schools are what drives us every day. We take pride in making sure the products we sell you today will work with new software in the future. With technology always evolving, ADS consistently stays abreast of the latest innovations. No more grainy pictures; clients can review varied details such as physical features and license plate numbers and store the information for several months on end. Clients can also remotely view real-time information on their systems via their smart phones, tablets, iPads or laptop computers.